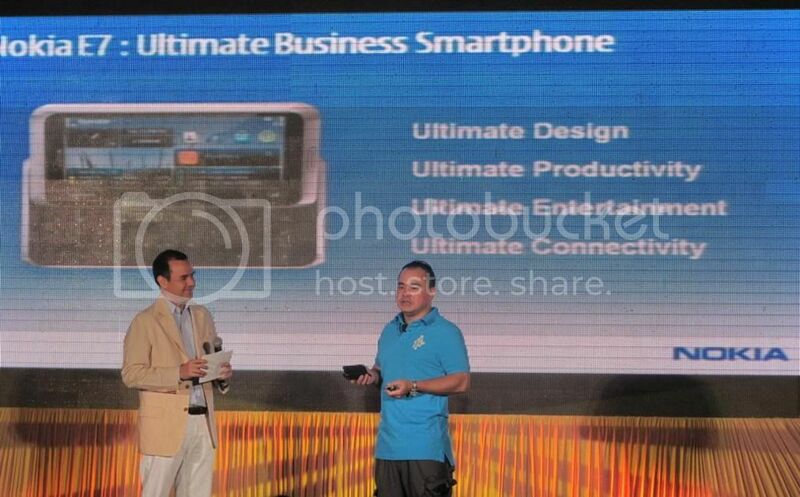 The highly anticipated Nokia E7 ultimate smartphone has officially been launched by Nokia Philippines on March 24, 2011 at the Rizal Ballroom of Makati Shangri-la. Those who have pre-ordered the smartphone online will be able to claim it until March 29, 2011. 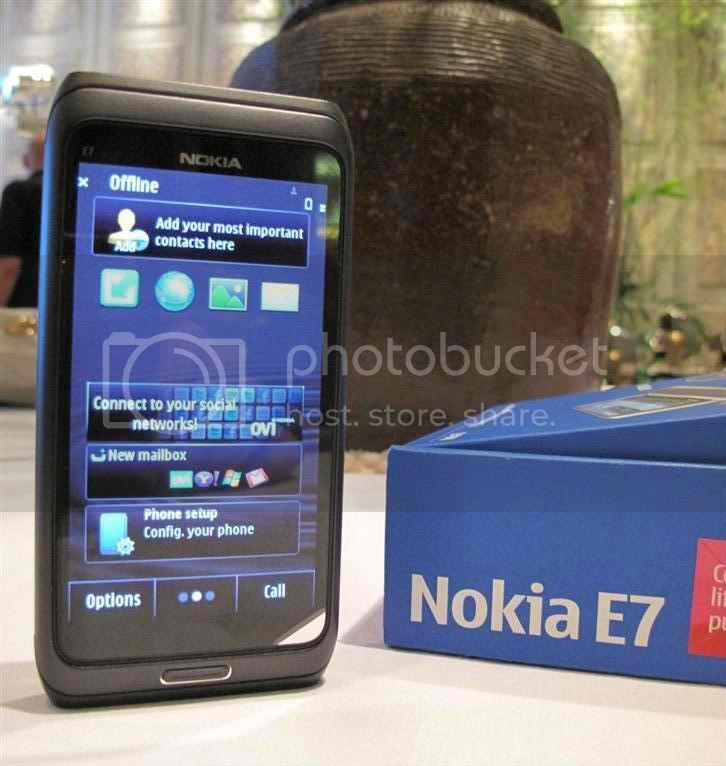 All others can purchase the E7 units locally available in Nokia stores nationwide by March 31, 2011 for the SRP of Php32,000, in colors Dark Grey and Silver White. Read the specifications here. Launching the smartphone with a beach theme, Nokia E7 presses the fact that businessmen and non-businessmen alike can do work and access work-related communications even when at the beach or anywhere outside office. 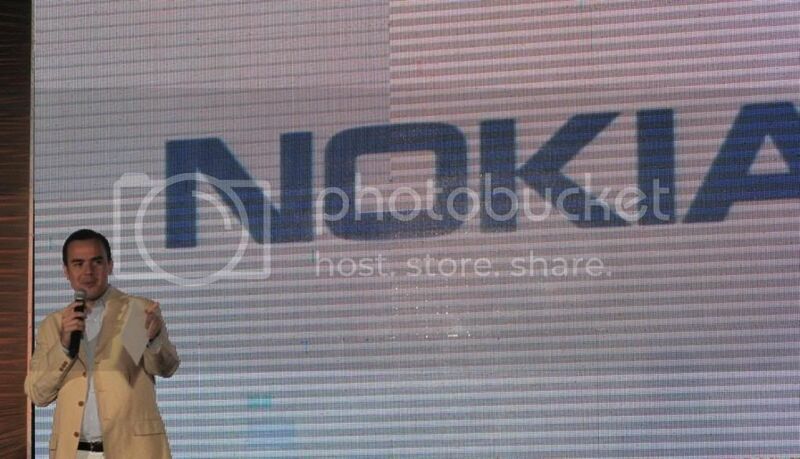 The launch event was hosted by David Celdran, who is also a Nokia loyalist. 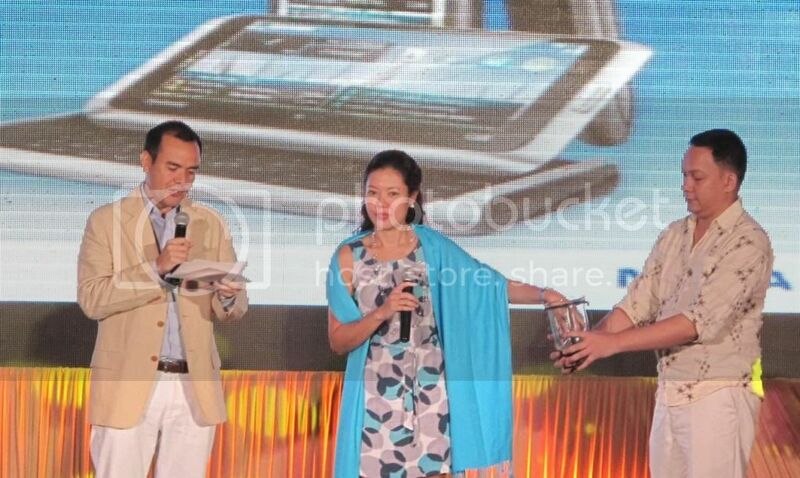 Pictured below is Nikka S. Abes, Corporate Communications Manager drawing the winners of Nokia X2-01, Nokia C6, the smartphone Nokia E7, and trip for two to Boracay. The raffle signified the end of the Nokia E7 launch. The media and press people went home with a full tummy, a great experience, and a huge foldable director's chair for keeps. Thanks to Fuentes Manila for inviting GLICH'S LIFE to the launch. Watch out for the unboxing photos on my next blog entry!